Day three of my Yellowstone photo tour was all about birds. Birds and wild flowers. 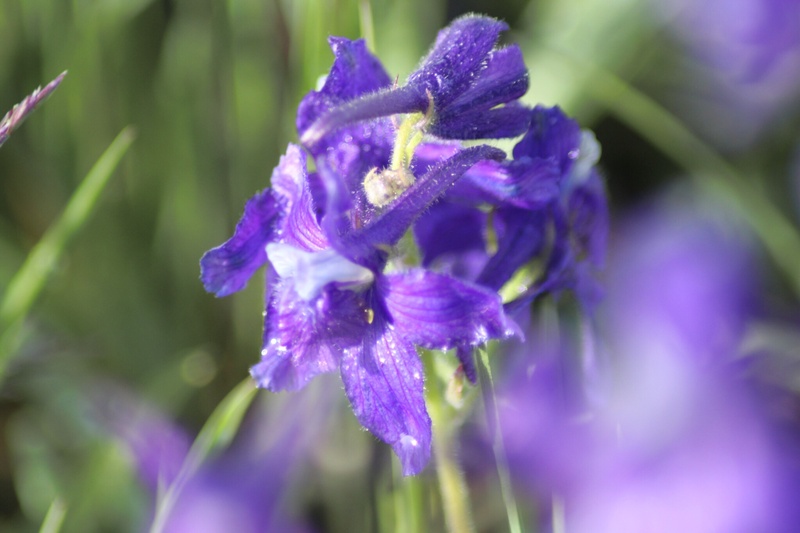 Although we did, of course, go looking for badgers, foxes and wolves, there were none to be seen, so we took the time in the beautiful Lamar Valley to play with some macro images of wild flowers. 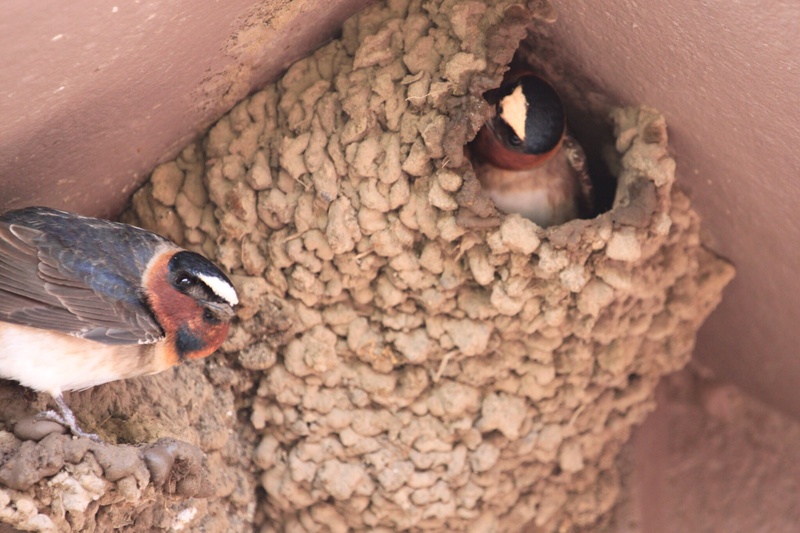 A quick restroom stop provided the opportunity to photograph the cliff swallows building nests under the eaves. 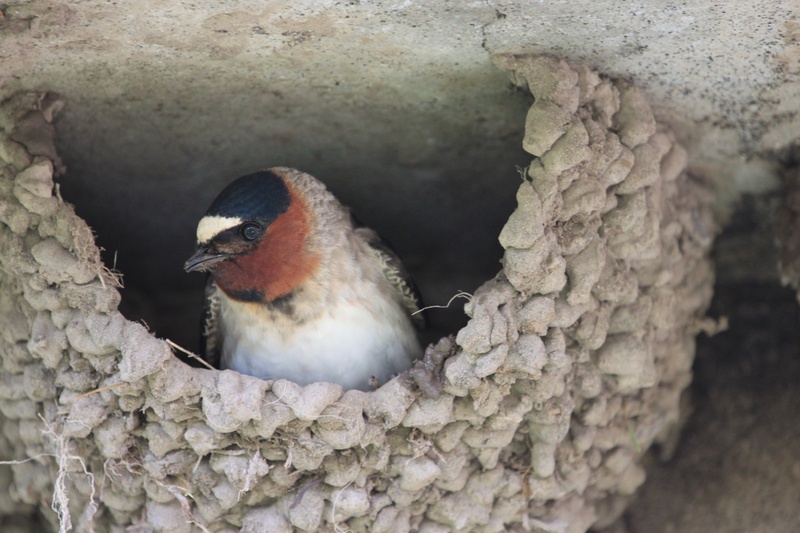 Both the male and female build the nest which consists of over 900 blobs of mud. They build remarkably quickly, as they made noticeable progress in the 15 minutes or so we were there. 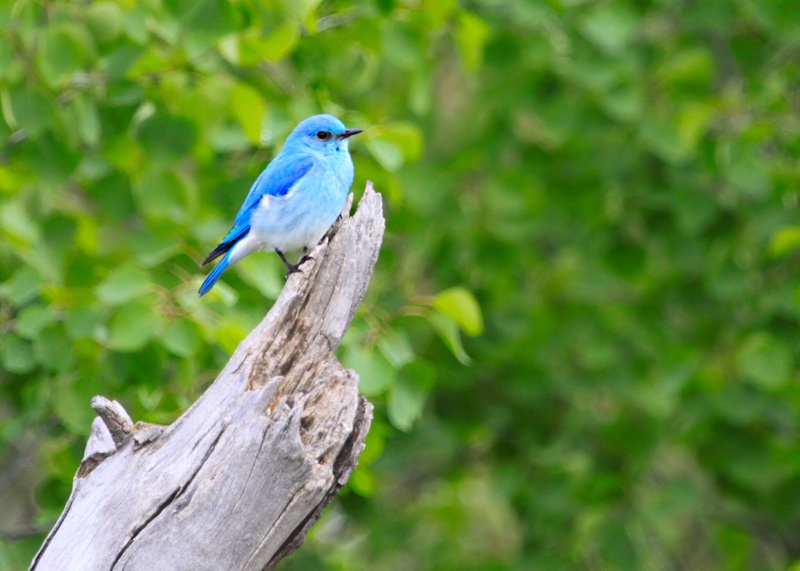 While looking for badgers, we spotted first the beautiful yellow-headed blackbird featured above, and then this gorgeous mountain bluebird which was posed on a log next to his nest hole, conveniently close to a pull out to allow his every move to be documented by a forest of long lenses. 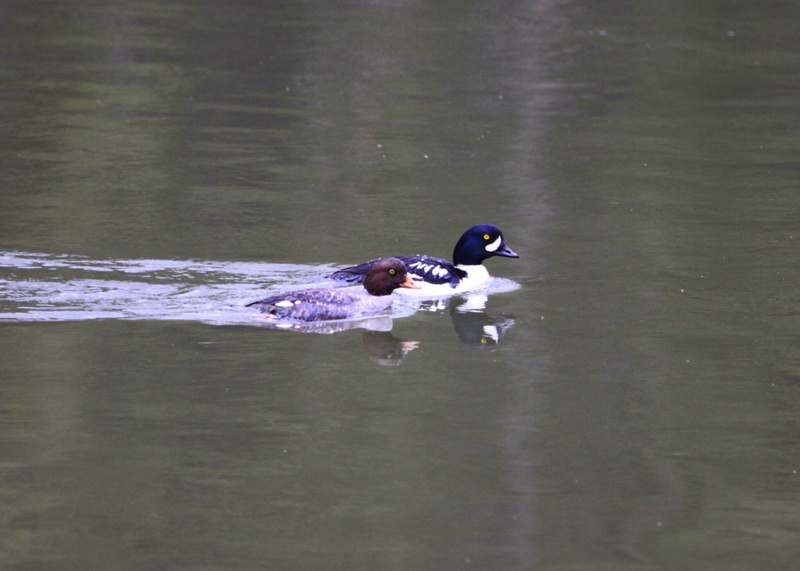 These goldeneyes drifted away on the fast-moving current when we photographed them. Although they were perfectly in synch, he is not as devoted as he might appear. He leaves her while she is incubating the eggs, to raise the chicks alone. 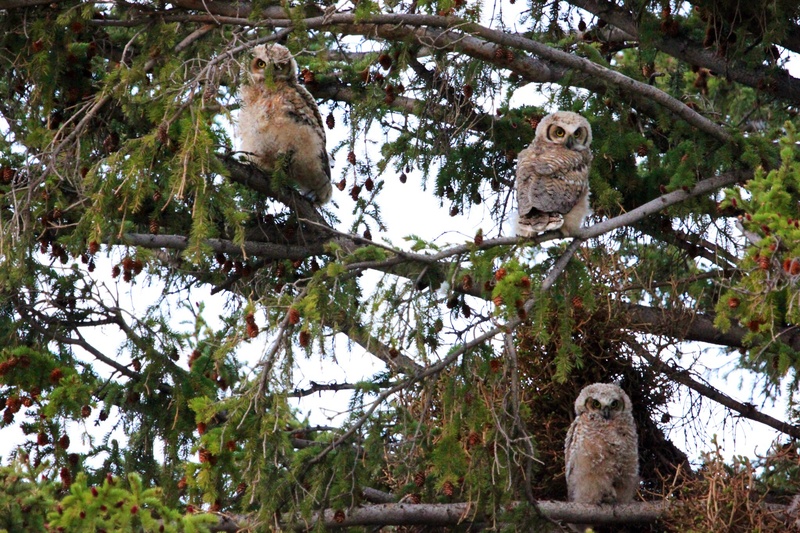 As we headed back to Gardiner, we stopped to see if the great horned owls living in Mammoth Springs were about. 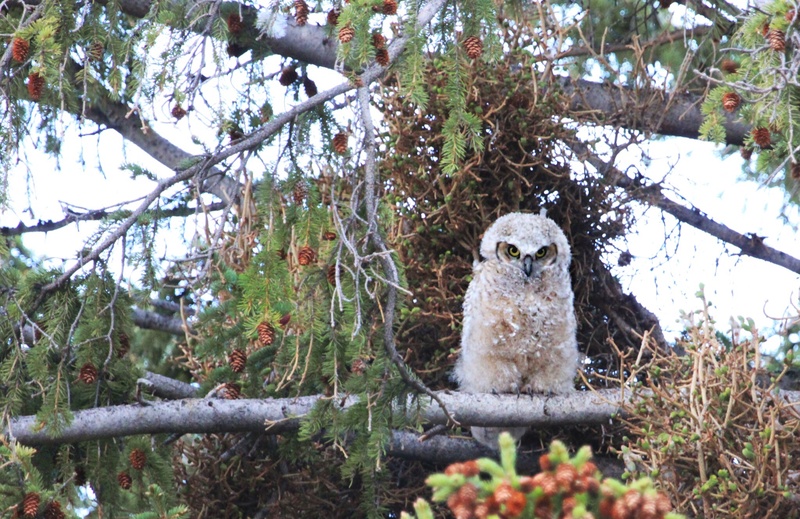 Not only did we spot the mother perched below the eaves of a nearby roof, screeching harshly, the three owlets were very active, flapping their wings and hopping from branch to branch. It seemed like their mother may have been calling them to try to fly. 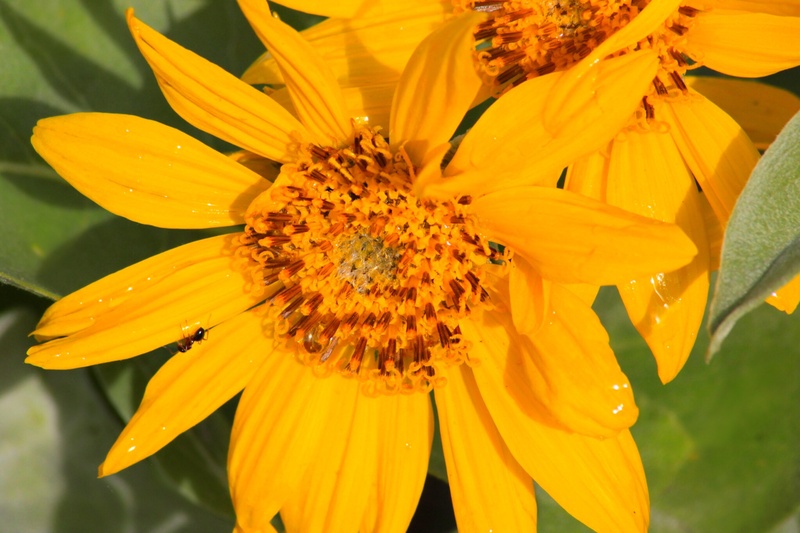 This entry was posted in Yellowstone on 04/06/2014 by paulaclarke. I take that back – just seen it!